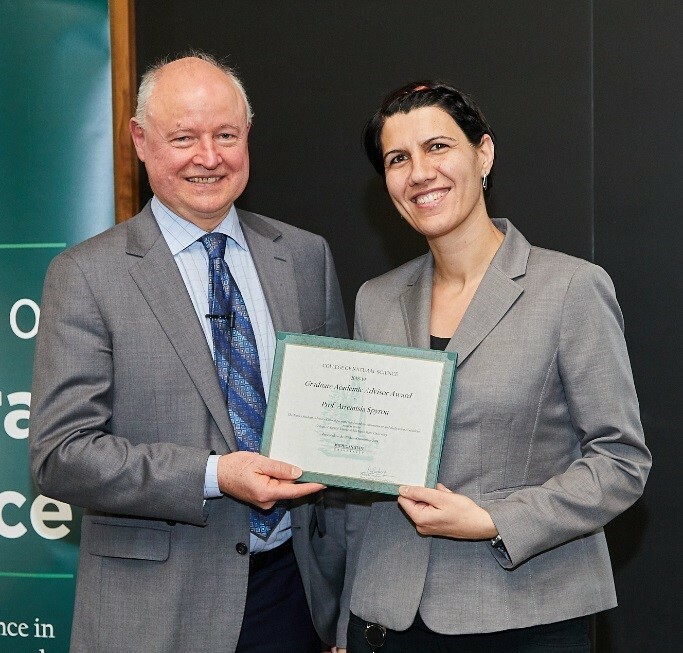 Associate Professor of Physics and NSCL Associate Director for Education and Outreach Artemis Spyrou received the 2018 Graduate Academic Advisor Award from the MSU College of Natural Science. The award recognizes advisors who demonstrate excellence in providing valuable educational and career advice to students. As an advisor, she guides undergraduate, graduate, and postdoctoral students through the learning process of independent research in the field of nuclear astrophysics. In addition to advising on research, Spyrou discusses a variety of topics with her students, including their career paths, work-life balance, and professional development.